Firstly, this is Sophia’s outfit she wore when she meets her childhood sweetheart for the first time. It’s like Italian widow impregnated Badgley Mischka. I would throw my baby out the window for this look. 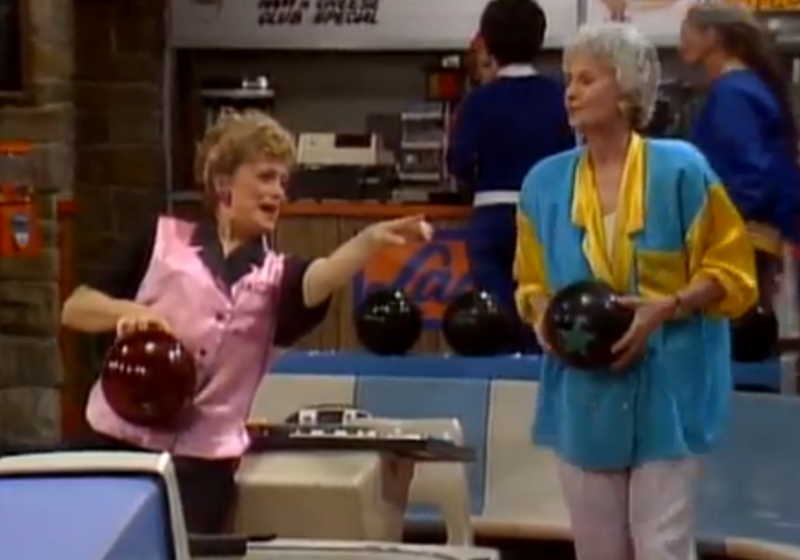 There’s something called bowling in this episode, and I’m not sure what that is, but it involves getting a huge sphere-shaped brooch. The ladies are playing it, and uh mah god they look bananas. Literally. Dorothy looks like a banana. Blanche looks like a girls scout who lost her virginity to an army Cadette. The satin! I could die. I did die. I’m dead. I’m a zombie now, skinning Anne Hathaway to use her skin as my outfit. 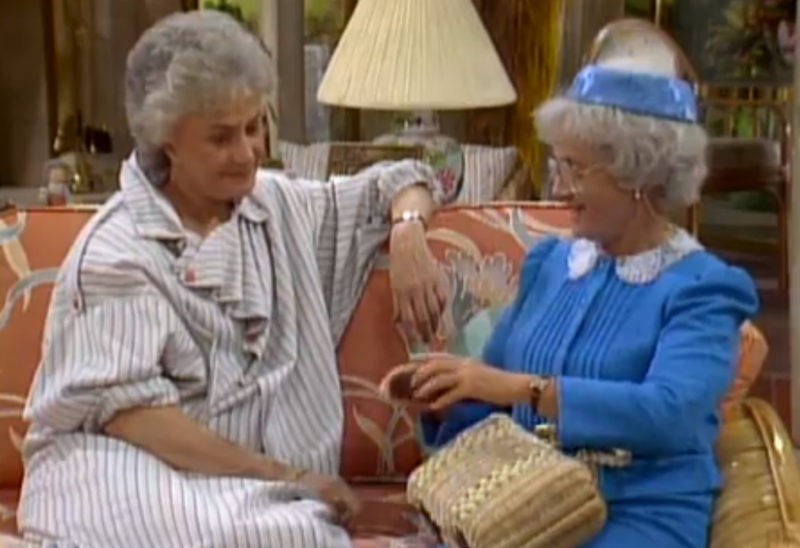 I’m having a panic attack over Dorothy’s nightgown. I literally am having a shortage of oxygen to my brain. I’d say that this shouldn’t be used as a nightgown, it’s a perfect look for the technical Oscars ceremony. It’s like King George mated with Don Draper and they made a gown. Stunning. Best fashion: see above, obvi. 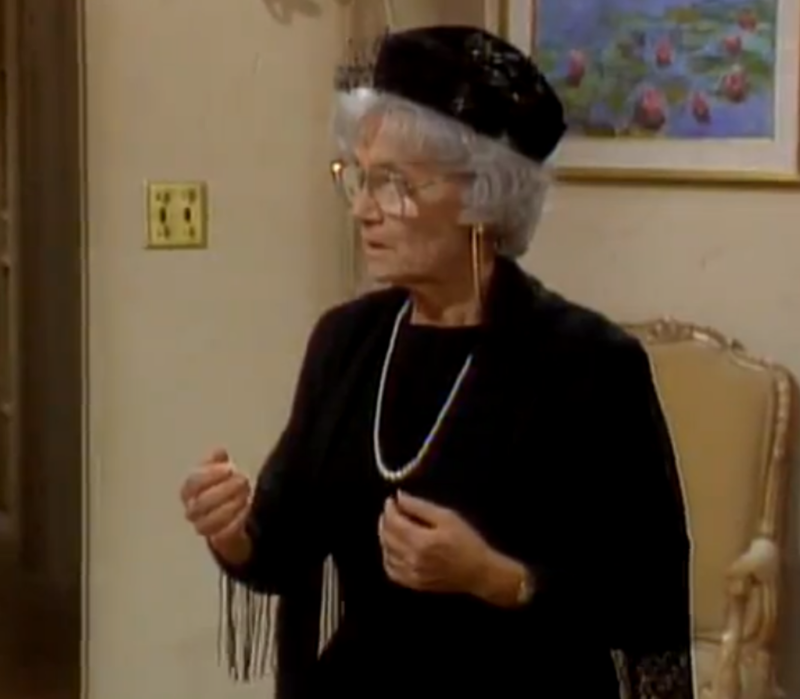 Oblig Rose Loves C*ck Moment: Sophia reveals her childhood boyfriend is in town, Blanche remarks “Ooooo, Sophia has a past!” Sophia retorts: “Yes, but unlike you, I didn’t need penicillin to get through it!” Yikes, that was…way harsher than usual.